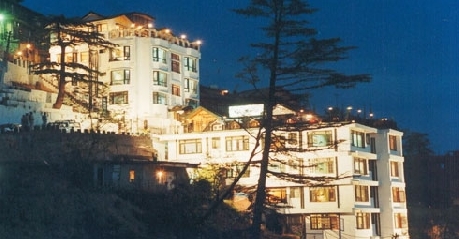 Hotel Ashiana Regency Shimla is situated in Chotta Shimla amidst the deodar trees and is 4 Km away from Shimla bus stand and railway station. The hotel is nestled in the mountainside and offers excellent view of the nature and snow clad mountains. The hotel offers ultimate comfort and luxury to its guests. For the guests, the hotel offers five kinds of accommodation namely Semi Deluxe, Deluxe, Super Deluxe, Family Suite and Deluxe Family Suite. 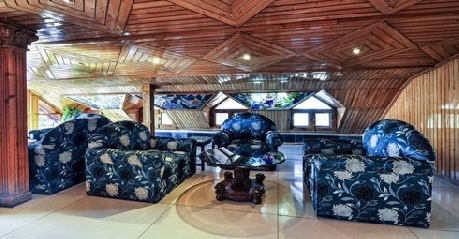 All the rooms offer picturesque view of the valley and also come with wall to wall carpeting. The hotel has a multi-cuisine restaurant to provide the guests with culinary delights and a bar for them to relax. The hotel also has a beautiful garden, open terrace, conference/banquet hall, party hall, barber & beautician, health club & Spa, baby sitting facilities, golf on request and billiards. The hotel also arranges for sightseeing visits and adventure sports like trekking, mountaineering, skiing, paragliding, mountain biking, etc. This hotel is ideal for both business and leisure travelers. These elegant, well furnished, well ventilated and well maintained rooms are provided with wooden flooring and classic lighting. These are ideal for those who look for good accommodation at a good location. 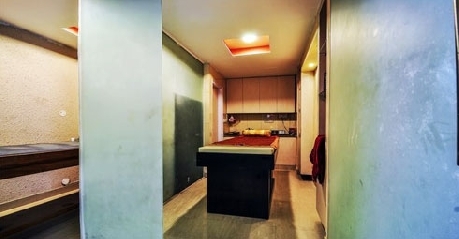 These rooms are provided with amenities such as attached bathroom with hot/cold water, shower cubicle/bathtub, 24 hrs room service, mini bar, television with satellite connection, telephone with STD/ISD facilities, air conditioner, internet, laundry/dry cleaning, safe deposit lockers, heaters in winter, housekeeping, tea/coffee maker, hair dryer, doctor on call, parking and much more amenities. These are beautiful rooms that are also larger and come with classic furniture. From the room, the guests can have wonderful view of the surroundings. These rooms are ideal for those who look for comfortable accommodation in the good location of the city. Further these rooms come with amenities such as shower cubicle/bathtub, attached bathroom with hot/cold water, air conditioner, mini bar, heaters in winter, 24 hrs room service, internet, television with satellite connection, safe deposit lockers, telephone with STD/ISD facilities, tea/coffee maker, laundry/dry cleaning, parking, hair dryer, doctor on call, housekeeping, etc. 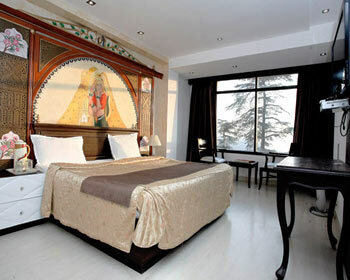 These are elegant rooms that come with frescoes, well furnished and well maintained. 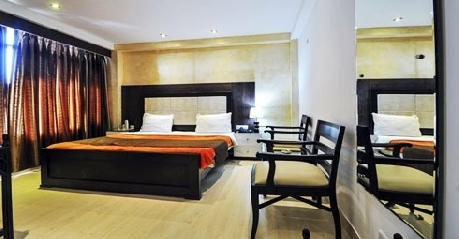 These rooms are also larger and lavish and ideal for those looking for lavish accommodation. Further, the amenities available are air conditioner, shower cubicle/bathtub, mini bar, attached bathroom with hot/cold water, 24 hrs room service, heaters in winter, television with satellite connection, telephone with STD/ISD facilities, parking, safe deposit lockers, laundry/dry cleaning, tea/coffee maker, hair dryer, housekeeping, doctor on call, internet, etc. These rooms come with twin bedrooms, more spacious and luxurious. 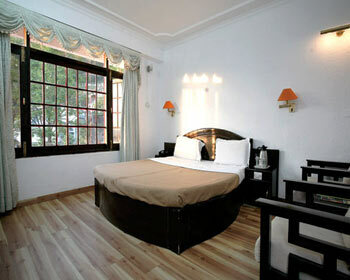 These rooms are also well furnished and well maintained. These are ideal for a family to stay. The amenities provided are mini bar, air conditioner, attached bathroom with hot/cold water, heaters in winter, shower cubicle/bathtub, television with satellite connection, 24 hrs room service, parking, telephone with STD/ISD facilities, laundry/dry cleaning, safe deposit lockers, hair dryer, housekeeping, internet, doctor on call, tea/coffee maker, etc. These are more spacious, luxurious, elegant and well furnished rooms. These rooms come with a living room and a bedroom. These are ideal for a large family to stay. Other than this, these rooms are also available with amenities like heaters in winter, mini bar, attached bathroom with hot/cold water, air conditioner, shower cubicle/bathtub, 24 hrs room service, television with satellite connection, parking, laundry/dry cleaning, telephone with STD/ISD facilities, housekeeping, hair dryer, doctor on call, internet, tea/coffee maker, safe deposit lockers, etc. The 24 hrs delectable multi-cuisine on-site restaurant serves Indian, Chinese and Continental cuisines. It also serves mouth watering local cuisines as well as Gujarati cuisines. 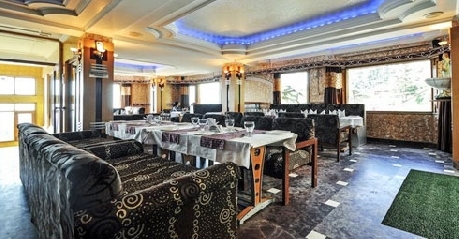 The restaurant provides a warm and soothing ambience and sets the mood for the guests. The guests will be served with exotic as well as exquisite delicacies which will satiate their appetite. All the food served is sumptuous and scrumptious. The restaurant also offers in room dining facilities. The restaurant is opened to outside guests as well. The al fresco restaurant that is situated at lobby level serves Indian, Chinese and Continental cuisines along with barbeque. You can enjoy your food along with the nature when you dine here. The restaurant serves wide variety of scrumptious menu and also offers excellent view of the surroundings. Here the guests can feast their palate as well as their eyes with exotic and exquisite delicacies by enjoying pleasant weather. This is meant for private dining with your family and friends. The food served is similar to the multi-cuisine restaurant. This is a warm and inviting place where the guests can enjoy their food with utmost privacy and comfort. Of course, the food served is a feast to their palate. This is an elegant and classic bar that serves national and international spirits, wines, cocktails, lunches, etc. The bar also serves lip smacking finger foods, short eats and snacks along with the drinks. The interiors of the bar are warm and set the mood. It is an ideal place to completely relax and enjoy your evenings with your friends and colleagues.